11 members of the Ivory-Park Taxi Association in Gauteng, South Africa, were killed Saturday night. The 11 people killed were on their way back from a funeral when their taxi bus was ambushed. [post_ads]Authorities believe the 11 victims were among 17 people leaving a funeral in Gauteng province to return to Johannesburg, the South African Police Service said. 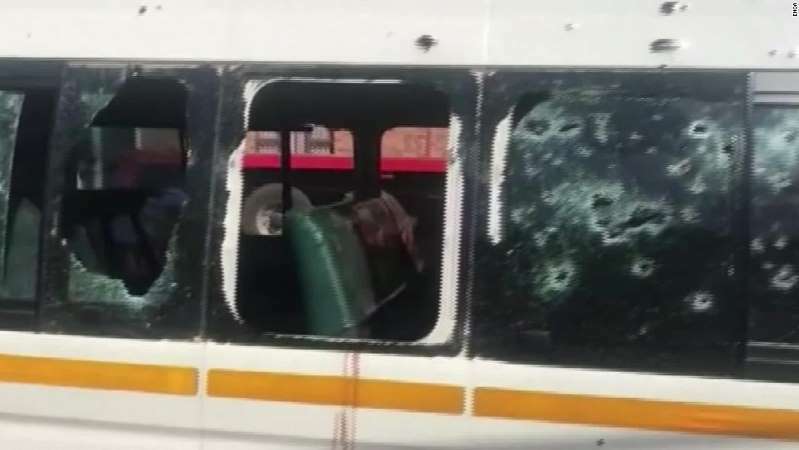 The attack happened between the towns of Colenso and Weenen when an unknown number of gunmen jumped onto the road from the bushes and opened fire on the vehicle, authorities said. Of the six people on the bus who survived, four were critically wounded, and two were not injured. Police said neither the motive for the attack nor the identities of the assailants are known. "We will await for the investigation to advance before speculating on a motive," South African police Gen. Khehla Sitole said.